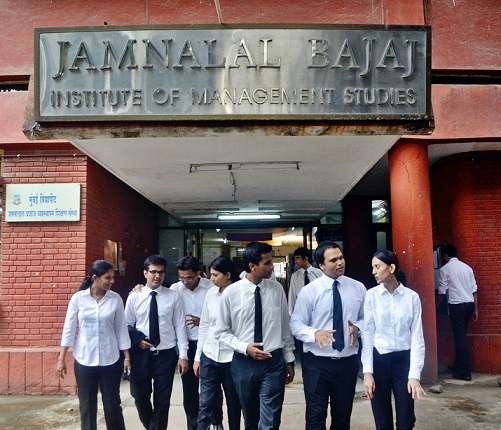 Jamnalal Bajaj Institute of Management Studies (JBIMS), located in the plush Nariman Point area of Mumbai, ranks among the top business schools in India. It is best known for its flagship MMS (Master of Management Studies) programme, which was started way back in 1965 and was the first such programme in the country. The two-year full time programme is equivalent to an MBA. The institute – named after noted industrialist Jamnalal Bajaj – can boast of a long list of eminent alumni including Chanda Kochhar, Vinita Bali, Sam Balsara, Uday Kotak, Harish Manwani, Ajay Piramal, Mani Ratnam and Nitin Paranjpe. Its placement process manages to get its students some high packages. In 2017, JBIMS completed placements of its MMS batch of 116 students. The JBIMS highest package was Rs 34.30 lakh, as against Rs 26 lakh last year. The JBIMS average package was Rs 18.76 lakh, as against Rs 18.13 lakh last year. According to the institute’s website, 72 companies participated in the placement process, of which 24 were new recruiters. Sector-wise, the maximum (43%) placements were made in the banking and financial services space. The IT, telecom and e-commerce companies accounted for 13% of placements while 9% placements were made in the area of consulting. In the financial sphere, major recruiters included Barclays, Citibank, CRISIL, Goldman Sachs, ICICI Bank, Indus Valley Partners, SBI Capital Markets and Yes Bank. The roles offered were in areas like commercial banking, equity research, risk management, corporate finance, treasury and wealth management. Among the recruiters in the IT, telecom and e-commerce area were companies like Amazon, Capgemini, Directi, IBM, Tech Mahindra, Vodafone and Zycus. Top recruiters in consultancy space were Accenture Strategy, GeP and McKinsey & Co. The other big names among recruiters were HUL, Nestle, Tata Steel and Maruti Suzuki.